Great work boot for welders. The seams line up back far on the boot and don't burn up and split the pieces like most boots . Great boots I would recommend them to anyone. Carolina makes the only boots I've ever tried that requires no break in time. You can wear them all day, the very first day you own them with the comfort of well broken in boots. 2nd pair of Carolina boots purchased. Hands down the best brand boot ever purchased. Very comfortable durable rugged construction. Went in the creek with it it held up nicely. Worked in a farm with it held up nicely. Now working @ PHD Manufacturing as a press operator I stand up all day long for 8-10 hours on concrete it holds up nicely. 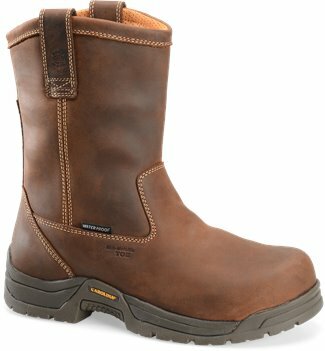 Recommend Carolina boots to everyone who needs a tough rugged durable boot. 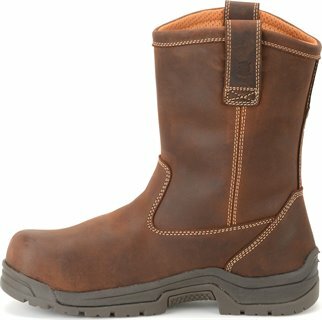 I’’ve bought three pair of these boots for my son. He is an electrician and works industrial construction. His first pair lasted 4 years. I bought him 2 pair this time so he could switch them every other day. Very dependable and rugged. I highly recommend these boots.